So as of Wednesday morning, I am 21 years old. It’s scary to think that not all that long ago I was still in high school, and now I am almost finished university. I’ve always been intrigued by the way that time can feel as though it passes at a glacial pace one moment and then at warp speed the next. 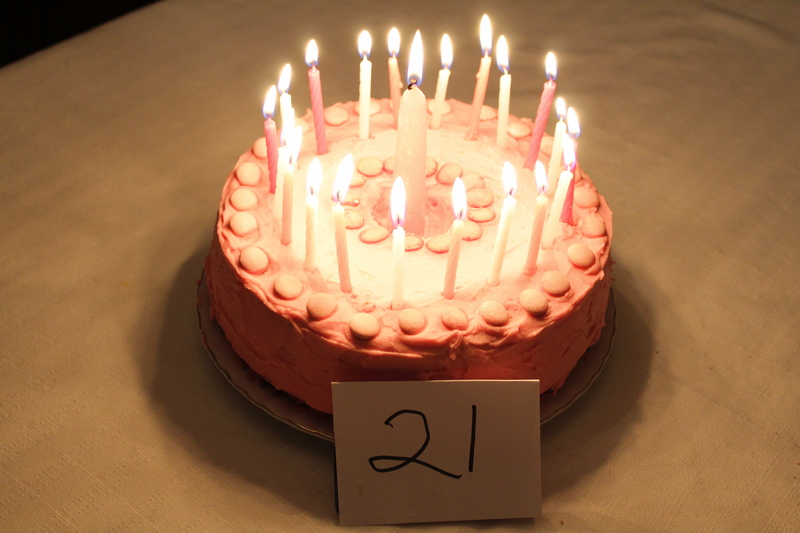 Being the planner that I am, I read numerous articles and blog posts about what 21 was going to be like. Well, most of the articles must have been written from an American perspective because all the exciting things had to do with drinking. I drink socially, but certainly not enough to have a go-to drink, an alcohol budget, a preference for getting drunk on decent versus cheap liquor, or having a preferred bartender. The other main thing mentioned in the articles was being able to travel to Vegas. I am actually planning to head to Vegas for the first time in early 2017 as a belated birthday celebration (spoiler alert for future travel blog posts!!!) but I already have my gambling cap set at $50 (talk about living life on the edge). 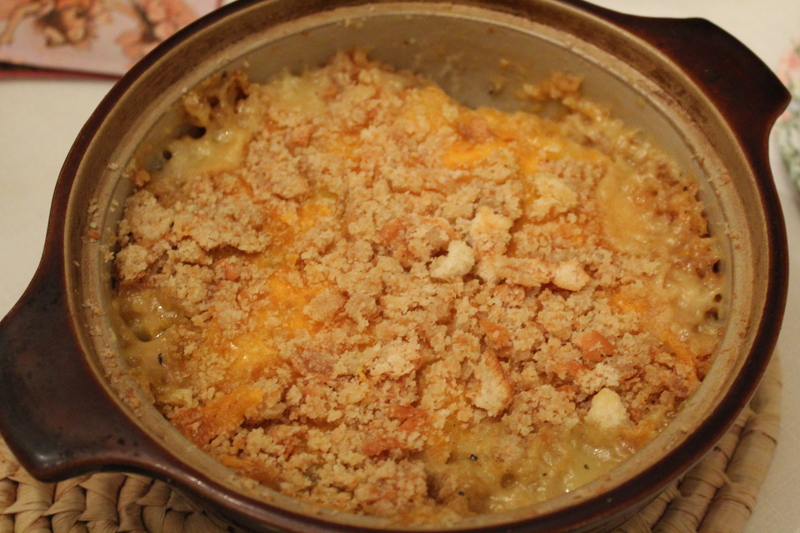 As I do every year, I celebrated my birthday at my grandparents house, and my grandmother just so happened to have my favourite meal stashed away in her freezer: turkey casserole. Essentially it is all of the leftovers of Thanksgiving dinner combined into one culinary creation, and it is my ultimate comfort food. Last year I shared 20 facts about me in celebration of my 20th birthday, but this year I wanted to do something a little different and open up the comments section to questions. 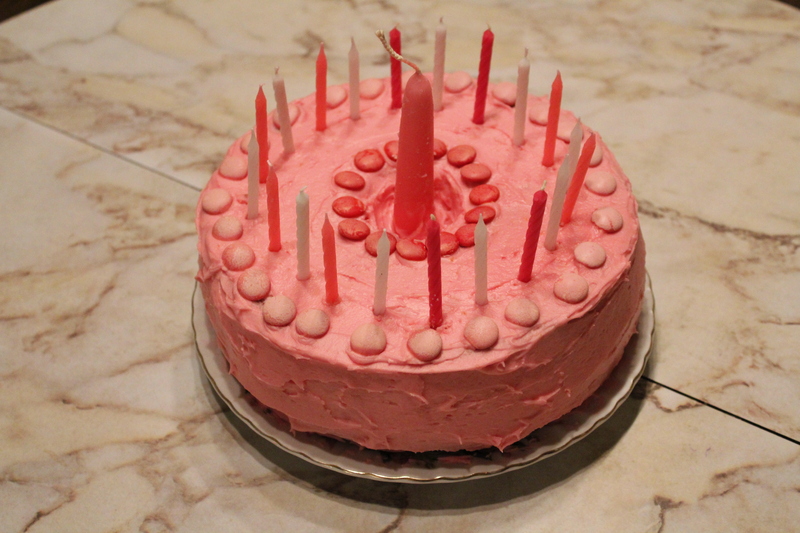 13 opened boxes of Smarties and one giant pink candle later, and my grandmother created the most epic pink birthday cake.